When Takuma Sato made a late-race pass to win Sunday’s Indianapolis 500, it was worth enough in purse money to pay off your student loans and have cash left over to buy a Ferrari LaFerrari in full. The winner’s earnings were nearly $2.5 million this year, a whopping $1.7 million more than second place got. Of course, Sato won’t take home all of that money. There are likely hefty, not-included taxes and operating costs for the team, but $2.5 million is still more than most of us can say we’ve earned in a day. What’s even wilder is the purse money for the rest of the drivers, with the minimum payout being $200, 305 for anyone who made the 33-car field. The total purse for the race was nearly $13.2 million, which is actually on par for big American racing events. Back when NASCAR actually used to release purse numbers for races, the 2015 Daytona 500 had a total purse of more than $18 million. 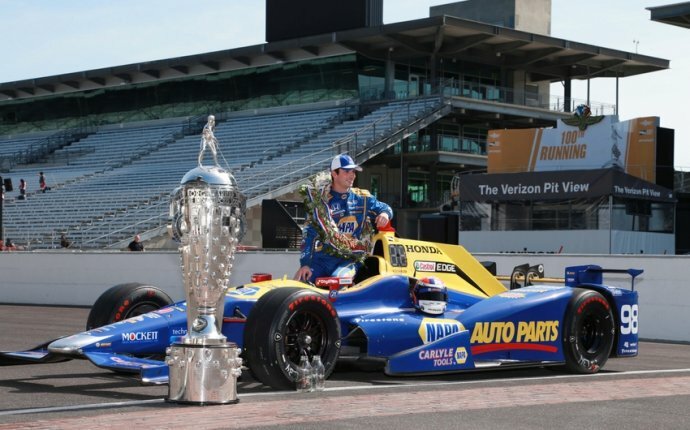 The monetary drops between different finishing places were less drastic than in Indy, with the race winner, Joey Logano, receiving around $1.6 million. Perhaps the wildest part about the Indy 500 purse payout is the drop from first to second. In the NASCAR example above, second-place finisher Kevin Harvick got around $1.2 million at Daytona. That’s just $400, 000 less than Logano. Helio Castroneves, who made a huge charge to the lead on a restart with 11 laps to go in the Indy 500, looked like he’d win the race on Sunday. For Castroneves, falling slightly behind Sato in the final laps meant a difference of almost $1.7 million when it came time to write the checks. By the time we get to fifth in the finishing order, purse money is already in the $400, 000 range—more than $2 million under what Sato won. But don’t feel too badly for the lower finishers. The race results say this year’s Indy 500 lasted three hours and 13 minutes. If we round that down to just three hours—most of us don’t get paid for our commute time to and from work, after all—Sato’s hourly wages for the Indy 500 were $819, 376 and some change. Jay Howard, who finished last and only completed 45 laps, made $66, 768 an hour. He didn’t even finish out the workday.